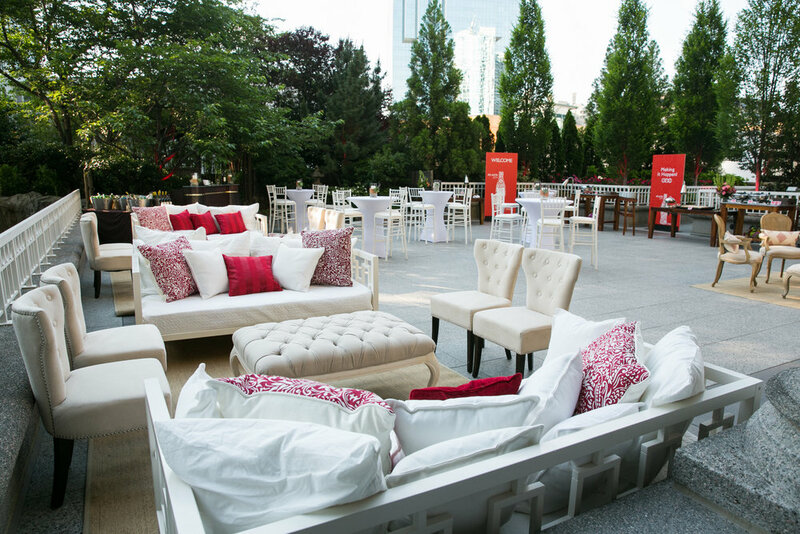 Collection Event Furnishings is a luxury furniture rental company that focuses on high-end events. We are based in Atlanta, Georgia and service the entire South East. Collection carries a large variety of styles and products to enhance the atmosphere at Corporate events, Weddings, Bar and Bat Mitvahs, Holiday Parties, Birthday Parties, etc. Collection has furniture pieces that reflect Mid-Century Modern, Contemporary, French Provincial, and Rustic styles. If you want a custom bar, stage facade, table, etc. we can source it or have our custom builder make it for you! We strive to provide skilled service with impeccable style and sophistication. We are passionate about our role in meeting our client’s expectations. When our team can provide an experience knowing that our clients are happy and fulfilled, ultimately, that is where our gratification stems from. Lois’ background in the hospitality industry includes working with Proof of the Pudding, Event Design Group, Bold American Events, and Atlanta Arrangements. Through these experiences Lois developed a passion for providing exceptional service, attention to detail, and a focus on high-caliber events. In wanting to spend more time with her family, two beautiful daughters, two sons-in-law, and grandchildren, Lois collaborated with long time friend and colleague Jeff Terry, Founder of Peachtree Tents and Events, to create a brand that represents Service, Sophistication, and Style. Collection has quickly become what Lois envisioned for herself professionally and could not be more pleased with the direction and growth in just four years. Lois is grateful to work with such incredible clients, because they ultimately make her love what she does everyday.